Front Page Articles > Which Lightroom version am I using? A year after Adobe rebranded Lightroom, many photographers are still confused about which version they’re using. The easiest way to figure out which Lightroom version you’re currently using is to open Lightroom and go to Help menu > System Info. Lightroom 6 and earlier stored your photos on your hard drive, and they were sold as perpetual licenses. This means you paid a one-off fee (plus optional upgrades) and it carried on working until an outside change, such as an operating system upgrade or a connection to an external web service, broke it. Lightroom 6.14 was the last perpetual version, released in December 2017. Lightroom Classic CC (usually shortened to Lightroom Classic) is the latest version of that traditional folder-based Lightroom for Windows/Mac, which stores your photos on your hard drive. It’s available as part of the Photography Plan subscription along with Photoshop, and it’s updated every couple of months. Lightroom CC is the cloud-native family of Lightroom apps for Windows, Mac, iOS, Android, tvOS and ChromeOS. It stores your photos in the cloud so they can be accessed from all of your devices. It’s available as part of the Photography Plan subscription (only 20GB of cloud space) or as a Lightroom CC subscription (with 1TB of cloud space). It’s a brand new program, so it doesn’t have all of Lightroom Classic’s features, but it’s easier to learn. If you’re not sure whether you’d be best with Lightroom Classic or Lightroom CC, there’s a feature comparison here. Lightroom Classic CC (hard drive based) has a box with sharp, rectangular corners. Lightroom CC (cloud based) has a box with rounded corners. 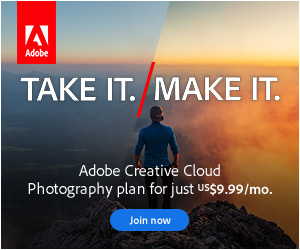 Adobe has no one to blame but themselves for this marketing 101 blunder. Having a product called Lightroom CC for years and renaming that Lightroom Classic CC, while renaming a new product Lightroom CC is asking for confusion, more so because the new product is by all means not ready to replace the old product (in that case it would have made sense). And also because CC is also the overall naming for all their apps in the subscription. 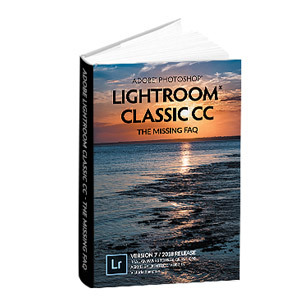 If you search for Lightroom CC (new cloud version) books and videos all you find is all the old books for previous Lightroom Desktop version. The Premiere team did a better job. (or perhaps learned from Lightroom’s mistake).. Premiere in the cloud is called Premiere Rush CC. Lightroom (Cloud Sync) CC should have had similar naming to prevent any confusion. Sorry for the rant but I find this incredibly stupid on Adobe’s behalf. I doubt most of the Lightroom team would argue with you there. Marketing guys gone wild. What book should I buy? I would like a hard copy since my computer is always telling me that I have little space on the hard drive.. I would like to upgrade, but I am afraid I will screw up and look my pictures… LOTS of pictures. Suggestions in the book???? Ooooh, I haven’t met anyone using Lightroom 3 for a while. Is that Windows 10 you’re using? If so, you should be fine to upgrade to Lightroom Classic. You might want to back up first for peace of mind (https://www.lightroomqueen.com/backup-lightroom-files/) but then you simply install the latest version, and when it asks permission to upgrade your catalog, say yes. You might want to figure out why your computer says it’s so low on space. It’d probably run faster if you can (safely) move some files off to an external drive. Definitely make a full backup of your library and photo originals. Buy a (cheap) extern hard disk… 4TB is like $90 nowadays, 1TB goes for like $40 if you get a good deal. Peace of mind! Once you have done that update your OS and then update Lightroom if you have the license for it. Want to store photos both on my disk and in the cloud. 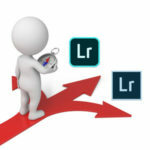 Which version of Lightroom do I use for that? I like editing on my iPad Pro 12.9” and backing up the photos on my hard disks. I thought Adobe only stores Smart DNGs in the cloud instead of full DNG sizes, what is Adobe storing in the cloud for full DNGs? 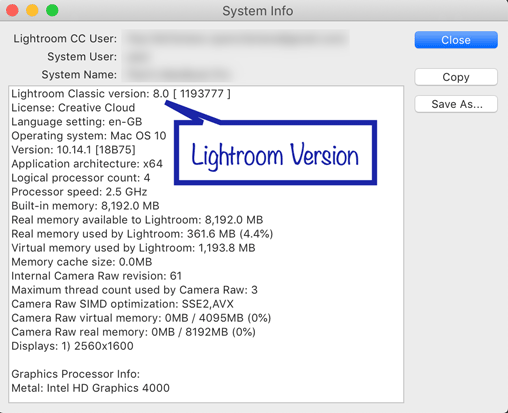 You can use both Lightroom Classic CC (“old Lightroom”) and the new Lightroom CC. If you use the latter, all your originals will live in the cloud and sync to all your devices (if you chose so), otherwise Smart Previews will sync. If you use Lightroom Classic CC and have a subscription, you can still sync to the cloud but it will only be Smart Previews. 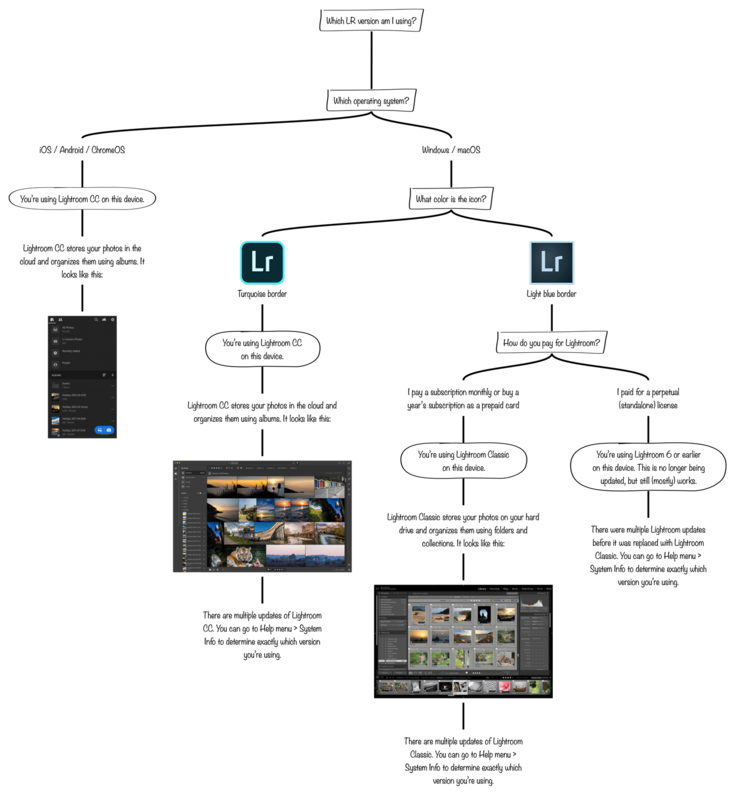 If your use is basic, I would recommend Lightroom CC for the best hybrid desktop-mobile experience. Summary; if you use both Lightroom Classic CC and Lightroom CC, import in Lightroom CC and sync to Lightroom Classic to get full DNGs on iPad. Only downside is that you don’t get to chose how the synced photos are sorted in folders on your desktop (default is by date and this is automated by the software). What would have you called it. Gerrit’s solution will work. Or if you don’t need the Classic features, you can just use CC everywhere and set CC desktop to store a copy of all images on your hard drive as well as in the cloud. You can then back up that folder on additional hard drives too. I think Johnnina is using Yosemite on a Mac, not Windows 10. Upgrading the OS should be done before upgrading to Classic. Oh well spotted Linda. You’re absolutely right. I currently hold my photos and the LR catalogs (LR 6) on a detachable HD (non solid state) and then can switch from desktop to lap top at my convenience. I have decided to take the leap and (a) subscribe for the monthly Photography Plan, including PS which is new for me, and want to use LR Classic which I am used to (b) move to a position where I only have my photos and LR on my desk top – so migrating both the photos and LR stuff from my detachable HD to the desk top and (c) set up a back up plan for the new approach (at present, I just copy and paste both my photos and LR catalogs to my desk top and a 2nd HD as back ups. I am slightly worried about all the things that can go wrong on this seismic shift. Can you point me to any previous blogs/info the cover the issues involved here? Anything in particular to be worried about or focus on? One thing I am not sure about is what order to do things and how to re-link my photos and the catalog as I move from the detachable HD to the Photography Plan and photos on the desktop. Hi Peter. You’re sensible to think it through before jumping. And you’re really wise to think about backups too. I’d suggest looking at proper backup software that can handle that for you. That way it can back up your whole desktop’s hard drive and be sure it’s not missing anything important like presets etc. Thanks for the links – I’m on with it all! Fingers crossed. Personally this never bugged me at all. I found it didn’t take much to figure this out last year. There were multiple forums to ask if unsure. I think people just don’t like change and I’m one of them. Not just software. We get into our comfort zone. Also I think when Adobe announced Classic or LR7 would no longer be available in standalone that really kicked the anthill, which didn’t help. My main concern was did I have to use cloud storage with Classic and bit more research answered that.